Fit for a king: The category: "Court Comestibles." The answer: Smoked haddock, scrambled eggs, cold cuts, kippers, roast pheasant, fruit, bacon, sausages, devilled kidneys, scones, and kedgeree. 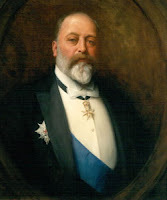 The correct question: What is breakfast for King Edward VII? (The Times, 12 April 2007). Shown here: The portly monarch. Victorian shrunken heads redux: Blogger Maria Grasso takes another look at the hand-wringing over one of the most famous exhibits in Oxford’s Pitt Rivers Museum. (Spiked, 28 March 2007; read my 7 March 2007 post on this topic). Out of pocket: The pocket handkerchief was a useful tool that helped genteel ladies in the nineteenth century artfully highlight a blush or a tear. (Common-Place, January 2007). New resource in women's history: Genesis, an online guide to sources for women's history in the British Isles sponsored by The Women's Library in London, has been relaunched with a new site and expanded content. It now includes a searchable database of women's history collections in museums, libraries, and archives throughout the UK and a "Guide to Sources" that provides access to a wide range of international web resources on women's history. 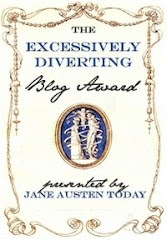 Type "Victorian" into the database and up comes everything from the personal library of Mrs George Linnaeus Banks, nee Isabella Varley, the Manchester schoolmistress and author of The Manchester Men (1876) to the papers of Mary Eliza Haweis, arbiter of Victorian taste and author of The Art of Decoration (1881). Movin' on up: A new exhibition at the American Museum in Britain (Bath) recounts the triumphs of the many beautiful and famous American heiresses who married into British aristocracy in the late nineteenth century and offers insight into an era characterized by money, love, infidelity, and ruthless social climbing. "Dollar Princesses – American Heiress to Peeress in Late Victorian and Edwardian Britain" runs through 28 October. 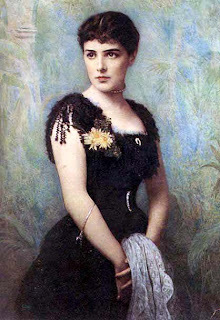 The American Jennie Jerome (shown here), wife of Randolph Churchill and mother of Winston, is among those featured. 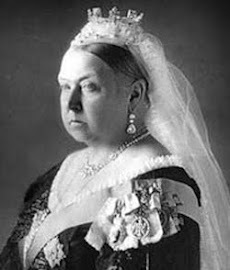 Fascinating details emerge about her life at the highest echelons of British society – including her affairs with Edward VII (he of the 3,000-calorie breakfast described above), her job as a magazine editor, and the tattoo of a snake entwined around her wrist. These "dollar princesses" were feisty women who loved life and lived it to the fullest, often in direct opposition to the social mores of their day.